This excellent cut-out sheet will help you make the most of a subject children never fail to get excited by – Dinosaurs. Tap into their enthusiasm with some simple games and stretch their imagination with some pre-historic role play. You’ll all be having fun in no time! 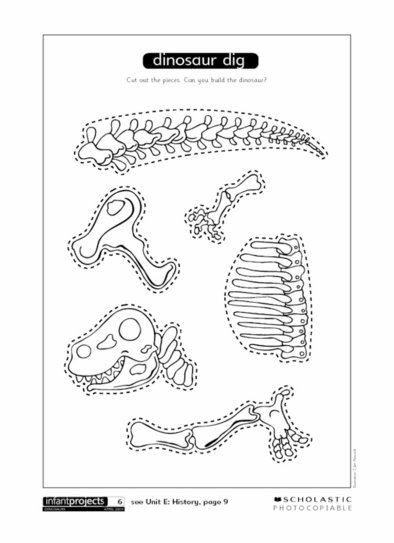 This brilliant worksheet allows children to create their own dinosaur by piecing together dinosaur bones that they discover on their own dinosaur dig.